In September of 2016, canine distemper was reported in the Franklin County Dog Shelter in Columbus, Ohio, resulting in the euthanasia of 99 dogs. This number was considered by some to be unnecessarily high, and the shelter came under scrutiny from outside the organization and also from within, as staff members wondered how they could save more dogs from future disease outbreaks. Determined to address this concern, Franklin County commissioners took steps to actively seek improvements to its procedures. One of these steps was hiring the UW Shelter Medicine Program in a 12-month consultation partnership. The report recommends specific changes and offers data, tools, and model protocols to support these changes. Strategies are provided to improve daily shelter management, to keep more dogs in their homes, and to move dogs more quickly out of the shelter and into forever homes. Some recommendations are already underway to being implemented in the shelter, like managing intake, reorganizing the medical care performed by shelter staff, and eliminating some roadblocks in the adoption process. These changes will result in more efficient use of staff time, a reduced risk of disease in the shelter, and more dogs in homes rather than at the shelter. Many of the report's recommendations work on the principles of Capacity for Care, the practice of keeping only as many dogs as the shelter can best care for. 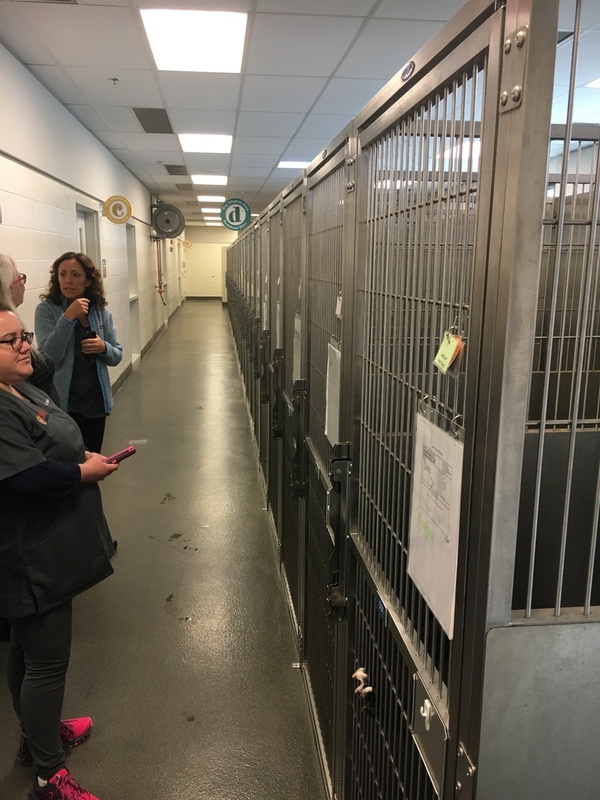 The Franklin County shelter can house up to 307 dogs in its physical space, and it usually houses around 200 dogs at any time, but the maximum capacity for care in the shelter should be capped at around 150. Over that number, and dogs will technically be housed but overcrowded housing conditions can lead to disease outbreaks, as resources such as cleaning time and medical inspection time are stretched thin. Adhering to Capacity for Care allows a shelter to spot, identify, and treat threatening diseases early on, resulting in fewer cases of disease and more dogs on the adoption floor and ultimately, in homes. Shelter consultations with UWSMP are collaborative efforts. UWSMP and Franklin County worked closely together to develop action plans to support successful practices and to devise new strategies. Franklin County showed a truly impressive openness to learning about improvements to their protocols and has already begun implementing some of the recommendations listed in the report. Throughout the rest of 2018, UWSMP will work with the shelter to tackle the recommendations from the report. Franklin County has indicated a willingness to extend the consultation contract if needed in order to continue the process of improvement for the benefit of their staff, volunteers, and, most importantly, the dogs. A link to a local Columbus, Ohio news article including an interview with Dr. Newbury can be read here. UW Shelter Medicine Program wishes to thank Maddie's Fund for funding the initial outbreak response with Franklin County, which led to this lifesaving consultation partnership and for supporting our Maddie’s resident and intern trainees.